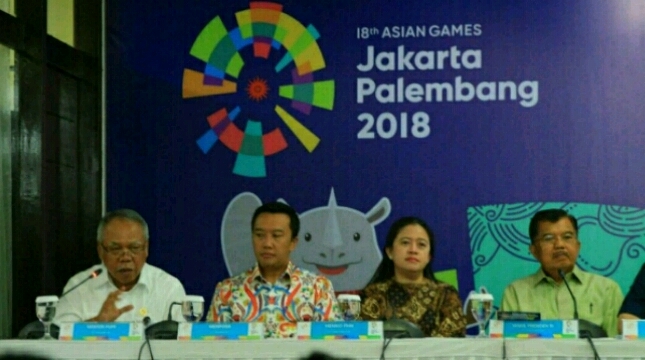 INDUSTRY.co.id - Jakarta, Industry Minister Airlangga Hartarto revealed that the 2018 Asian Games event had brought Indonesia as a country in the spotlight in the eyes of the world community, especially Asia. According to him, this is an opportunity to promote domestic industrial products. "The opening moment of the 2018 Asian Games yesterday was able to be aligned with the opening of the Olympics and other major events, because the world community saw that Indonesia was extraordinary. This is the spirit that we must continue to celebrate, "said Airlangga in Jakarta (08/23/2018). Minister of Industry added, the successful implementation of major activities in the country such as the 2018 Asian Games, bringing world trust in Indonesia is increasing. "Of course we hope that, in addition to achievements, there is an increase in investment, especially in the industrial sector," he added. Minister of Airlangga believes that the implementation of this sports party is able to grow the national economy, including because it is driven by the activities of both large-scale and small and medium-scale industries (IKM). "We hope that national industrial products will be better known so that they can expand market access for export," he said. Through the 2018 Asian Games event, it is hoped that the world's attention to Indonesia will be even better. "Of course, in addition to tourists will increase, investment expectations also increase," said Minister of Industry.